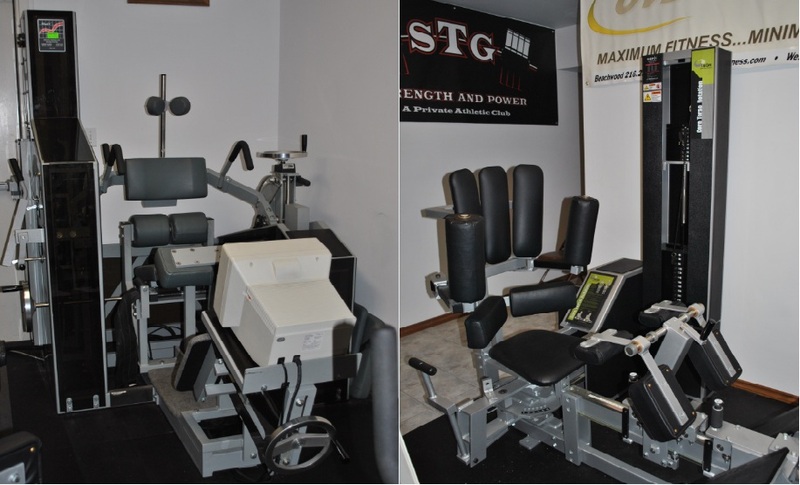 STG Strength and Power is proud to announce its newest acquisition, the MEDX Medical Lumbar Extension machine. MEDX medical machines are the only FDA registered Medical Strengthening Devices in North America for the strengthening of the lumbar spine. Arthur Jones, the legendary founder of Nautilus, also founded MEDX in 1986 to perfect the testing of human strength, endurance and range of motion. After years of development and testing, validated by independent research teams at the University of Florida, MEDX perfected its Medical Lumbar Extension machine. It has since helped tens of thousands of people around the world reduce or eliminate their back pain, while simultaneously increasing their function and quality of life. The MEDX Medical Lumbar Extension machine is the first and only machine that allows a patient to accurately and safely determine their low back strength curves. It does this by using a patented restraint mechanism that ensures only the muscles of your lower back are being utilized – not those of your hips and legs. By accurately determining a clients’ strength level and muscular force curve, we are then able to take that data and compare it to established norms. In most cases, back pain sufferers show reduced range of motion and improper strength curves. With this technology, we can safely and effectively build strength and increased range in the lumbar spine. This improves circulation to the area and allows the body to better hold proper posture of the spine, without resorting to ongoing outside intervention. Medical evidence has shown that the majority of patients with chronic spinal pain are significantly “deconditioned.” Weakness of the musculature of the spine can lead to many conditions, including herniated discs, facet syndrome and degenerative joint disease. A strong spine provides a strong foundation that allows for healthy spaces between the vertebrae, which helps prevent spinal compression. Over 100 published medical journal articles show the MEDX Medical Lumbar Extension Machine is the best way to rehab your back. It has been shown to be very effective at relieving chronic back pain, decreasing osteoporosis and preventing surgery! To simplify all of this: a stronger spine is a healthier spine. There are only a few of these machines in all of Canada and STG Strength and Power is the only facility in Brant County to have private access to this technology. If you suffer from back pain or are looking for the best way to keep your lumbar spine strong and healthy for years to come, please contact us through the contact section of this website and set up a session. You need to try this technology for yourself.